No. 1711: I need no repulsion and liberation of Norwegian or European law, knowing that I am innocent "convicted" and cleansed in the blood of Jesus and has a perfectly pure conscience! I need no repulsion and liberation of Norwegian or European law, knowing that I am innocent "convicted" and cleansed in the blood of Jesus and has a perfectly pure conscience! Jesus hangs on the cross. He also lay innocent there, but took all the punishment for me and you. Oh, that's more than enough for all of us, bigger frikjennelse than there is not hallujah!Torp could make me doom to pay the boat to have written that he is a wizard, but it helps a little bit. God's word will judge him to extinction on the last day, he will be "spared" to the fire - sooner or later. Joh. e. 12. 47 And if anyone hears my words and does not take care of them, I do not judge him; for I have not come to judge the world, but to save the world; 48 He that rejecteth me, and receiveth not my words, hath him that judge him: the word that I have spoken shall judge him on the last day. is that he lives against the word of God in all areas of his life, his "service" and all that he is doing. I write this in the headline: I do not need any redress and freeing of Norwegian or European law, as I know that I am innocent "convicted" and cleansed in the blood of Jesus, and has a perfectly pure conscience! When this world lies in evil, I am free to proclaim, speak and write as before. I have a perfect conscience when I know that I have not been close to breaking any Norwegian law. Should I "clean" me? I am already pure in Jesus' blood, hallelujah! In Rom 4.25, it is stated that Jesus was "given for our transgressions and raised to our justification." It is this scripture Luther calls a bundle that summarizes the entire Christian faith. "Given for our violations". He was given to death. He was made to sin for us. 2 Cor. 5.21. The curse of the whole law came upon him. Gal 3.13. "Risen to Our Righteousness" The blame and punishment took Jesus upon him, so I can say that I am acquitted when he took the blame, the punishment and the judgment, Hallelujah! No. 1710: A "everlasting" non-burning fiery hell is a total unbiblical and Jewish thought and meaning about what it means to stand in the book of life! No. 1710:A "everlasting" non-burning fiery hell is a total unbiblical and Jewish thought and meaning about what it means to stand in the book of life! I look forward to not only the 1000-year kingdom, but even more that day when God has removed both the evil and the evil from existence and he creates a new earth and new heavens. The Jews have a completely different understanding of eternal, dead and much more than us others who, after all, have a wildly Catholic balast, as well as paganism at the bottom of the Gentile Christian. When, for example, The Jews look at this to stand in the book of life, versus being scattered. Then they are allowed to live for 1 year. In other words, one does not stand in the book of life, one dies. Standing in the Book of Life is something one needs to have mercy at all times. It's the same thing that will happen when we all meet God, invade the white throne. When we all people who have not come before God have come to the conclusion, decide whether to enter into eternity with God. Or that one is not found worthy and one is destroyed in the lake of fire with Satan, Antichrist, the false prophet, the fallen angels, the demons and all ungodly. Does the Word of God teach a perpetual burning hell for the lost? Or should they "cease" to exist? What does the scripture say? The Bible is clear that the so-called annihilation lesson is what the scriptures teach. He who hardships the gospel or fails to receive salvation and comes upon God's side.Will eventually be destroyed. The destruction is then understood as the cessation of existence, destruction. This is what the Bible teaches, nothing else! In the Bible we find many texts that directly refer to the loss. Understanding what these texts are meant to convey is a crucial factor in an analysis of annihilation learning. Therefore, I will study some aspects that are throughout the Bible's mention of the loss, as well as examining some of the most important texts in particular. to convey the question therefore becomes if the lost can be destroyed and still exist. In 1 Cor. 15.42ff is the resurrection of the saved. Among other things, they will arise into indifference (v. 42), which they lost will not inherit (v. 50). Also immortality is given to the saved (v. 53f). If immortality and immortality are the characteristics of the saved receive in the resurrection, it seems clear that the destruction of body and soul that will take place in hell can only have one conclusion: Annihilation. The argument is closely linked to the one we have investigated regarding the immortality of the soul, but it is especially difficult in this context to understand how Jesus can speak of the destruction of the soul if it will forever be in existence. In this connection it has been claimed that A resurrection from death in itself will affect human nature. Therefore, the wicked will also be qualitatively different after a resurrection. Fudge rejects this idea by referring to Henry Constable. All resurrections until Jesus' resurrection occurred without the resurrected acquiring new qualities. For example, Jesus' resurrection of Lazarus in John 11 demonstrates that it is fully possible to arise from the dead and still to be fatal. Constable therefore calls for evidence that resurrection itself results in changes in human mortality. According to him, this applies solely to the resurrection that happens through the power of Jesus. The Bible contains several examples of resurrection of human beings from death to die again. A description of destruction like "the second death", in which it is eternal, seems to make sense. Resurrection to eternal life, with immortals, "spiritual bodies" ("soma pneumatikon") belong to the resurrected in Christ. In addition, it is worth noting that in the Matthew verse Jesus describes the body and soul of the lost in the same way. They will both be destroyed. Unless otherwise insinuated in the text, it would therefore be unnatural to assume that the destruction that takes place will have different results. If the bodily destruction will result in the body going away, the natural interpretation will be that the same applies to the soul. No. 1709: It feels like we have reached a milestone, and now laid the foundation for further work and service for God and the Lord Jesus Christ! It feels like we have reached a milestone, and now laid the foundation for further work and service for God and the Lord Jesus Christ! I met lawyer Jon Wessel-Aas and asked him about the verdict against me. He said clearly that it was completely wrong to use that law parade against me, it was an abuse.If Torp had done the right thing, and the courts had followed Norwegian law.Then Torp had to sue me in court for a civil lawsuit for injurious claims, not to violate section 390a.Anyone who is frightening or annoying or other reckless behavior violates another's peace. Picture of media lawyer Jon Wessel-Aas. After we were "finished" to publish on Norwegian Bible comments on all the books in the Bible, Bible and Sound file of all the books in the Bible.The 66 books belonging to our Bible. So it feels and feels that my joy is perfect. It is as if we have achieved a lot of goals, and we can start again for future tasks, opportunities and services for God and people.At the same time, it has revealed that the believers are very cowardly, and when a brother like me has come to an end, being persecuted by fake brothers, authorities and others. So, unfortunately, one can count on very little help, support and consideration from other believers.But at the same time, this also saw the apostle Paul, we read in the word of God.2 Tim. 4 16 In my first defense there was none with me, but all left me; guess it must not be charged to them! 17 But the Lord stood by me, and strengthened me, that the preaching might be fulfilled by me, and all the people heard it, and I was freed out of the lion's gap. 18 The Lord will deliver me from all evil works and deliver me into his heavenly kingdom; him be the glory forever and ever! Amen.Notice the words of the apostle "but all left me"!That the word of God is so striking, also to me / us is striking. What happened?We started a "campaign" against revered publishers around 2010 and beyond. This did not go unnoticed with Satan and the Evil spirits.There they got on several, bla. Narreapostel Jan Aage Torp who himself was and is divorced and renegotiated as a believer.What did Torp do? First, he tried to make me stop writing by asking me to chat with me. We meet over a cup of coffee and cake.When this did not go, what did he do then?Hat The pastor went to the police with false accusations, having found some words I had written about him. As he notified me, there was never a "crowd" of writing. But that I had called him for Horkarl, Narresist, leper and various other things. As the police went on the "limpin" right away, they could catch someone who believed in Jesus. 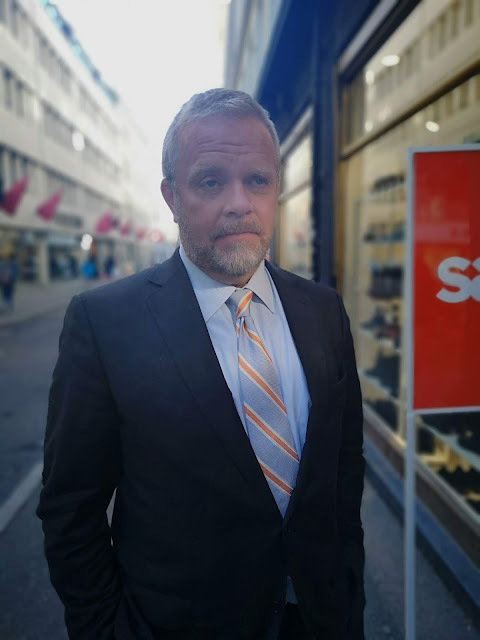 When the world and Satan are always ready, take someone who believes in Jesus, it is most common with them.I was appointed Brynjar Meling as my lawyer, who in the aftermath was a big mistake in the sense that his argumentation was merely an act. They allowed him to hold on and the jersey he brought was 120% correct.That meant nothing, I should be judged about the paragraph that they judged me was a different paragraph than what I had done.That they let Meling get out for hours, it did not mention in the judgment. Just something they found out afterwards that it was repeated for many times the same, so I was a lawyer and was to be judged. This is Norway's greatest justice word. I am charged with one thing the court dealt with just about law enforcement. Then I was convicted of something that the court did not discuss for a second, amount of writings. Greater justice words than this are not possible.On top of all, all Christian newspapers write about this largely, not least our country, the day and the cross victory. But what happens then? It is deeply deeply tragic that the believers do not see that this is a Spirit Camp, where Satan entered into the Christian marriage, me and our freedom of expression and belief!The Apostle Paul experienced the same as me, but he was shortly afterwards killed. But here God has held his hand over me and my family, we are allowed to work and proclaim as before, "Satan obviously" forgot "that he should not just judge me. But that judgment should put its limitations, talk about forgetting the most important thing! It was too "easy" to get me judged, "Satan forgot" the most important thing. To get me shut to continue to proclaim the word of God untouched. 2 crowns. 16. 9a. For the eyes of the Lord perish over all the earth, that with his power he can support those whose heart is completely with him. No. 1708: The capture of the Third World War, the Gog war is underway, now a Russian plane was shot down and Israel is blamed! The capture of the Third World War, the Gog war is underway, now a Russian plane was shot down and Israel is blamed! Picture from war - which will be like a little kinaputt against what comes with the great tribulation that will include World War 3 at the Gog War and World War Four and the last World War, the 4th of the Armageddon battle. After the last world war, people will be rare on earth before the coming 1000 years of the empire. Isaiah 24. Behold, the Lord drains the earth, and puts it desolate; He changes his form and adsorbs those who live on it. 2 Then the priest as the people, the lord the servant, the wife as the maid of honor, the seller as the buyer, the borrower as the lender, the governor as his debtor. 3 Empty, yea, the earth shall be emptied, and plundered, and looted; for the Lord has spoken this word. 4 The earth is mourning and fading away; earthly sicknesses and fades away; the utmost of those who dwell on the earth are sickening away. 5 And the earth is profaned among them that dwell therein; for they have violated the laws, transgressed the commandment, broken the eternal covenant. 6 Therefore the curse consumes the earth, and the inhabitants thereof shall be fined; therefore the peasants burn and there are only a few people left. From ABS News:Russian authorities accuse Israel of an "international provocation" after a Russian plane was shot down by the Syrian missile defense accidentally.According to the Russian Department of Defense, Israeli airplanes pushed the Russian reconnaissance plane into an area where it was subjected to missiles from the Syrian Air Force.Israel used the Russian plane as a shield, the ministry argues, calling the event of "an international provocation".A spokesman said Israeli fighters used the Russian plane as coverage so they avoided being hit by the Soviet-produced Syrian missile defense while attacking targets in Syrian Latakia province.15 Russians lost their livesThere were 15 people aboard the Russian plane, which was a reconnaissance plane of the type Il-20. The plane crashed in the Mediterranean, where there was a search operation on Tuesday. Everyone on board is believed to be dead.- As a result of the irresponsible acts of the Israeli military, 15 Russian soldiers died. We consider these provocative acts of Israel as hostile, "said spokesman for the Russian military, Igor Konasjenkov.A statement from the military also states that Russia reserves the right to repay the attack against Israel.Syria shot down Russian military aircraft by accident- One minute noticeIsrael is also accused of giving only one minute's notice before the attack was initiated, which would have made it impossible for the Russian plane to get away.The plane that was shot down is a four-engine propeller plane, not unlike the American Orion. (quote ending). Israel answers and gives Syria and Iran the blame, as right and right. From Reset:Israeli authorities express grief over the 15 who died when a Russian plane was shot down by Syrian air defense and blamed for the Syrian regime and Iran.- Israel expresses sorrow of the dead crew on the Russian plane shot down Monday night by Syrian Antiluftskyts, the first official statement from the Israeli army said Tuesday.Israel keeps the Assad regime whose military shot down the Russian plane, fully responsible for this incident. Israel also holds Iran and the Hezbollah terrorist organization responsible for this unfortunate event, it is called on.Israel also contests the Russian version of the incident, which states that Israeli fighters used the Russian plane as a shield for even avoiding being hit. "During the attack on targets in Latakia, the Russian plane was hit, out of reach of our operation," the statement said.advertisement"When the Syrian army sent up missiles who hit the Russian plane, Israeli airplanes were already back in Israeli airspace," says the statement from Israel.Russia owes Israel to the shooting. Russia responded to calling Israel's ambassador to Moscow on the rug and with defense minister Sergei Sjoigu calling his Israeli counterpart to say he is holding Israel in charge. (quote ending). This is more consistent with the situation Israel experiences during the peace agreement with the ruler over the ten nations. It is clear that this is a political situation in which not only Israel is attacked, but the entire tistat group that controls the Middle East at this time. This supports the idea that we have Russia's last desperate attempt to conquer the world. Israel is described as "my (God's) people Israel" who "lives safe" (verse 14). The purpose of invasion The section describing this future war makes it clear that those who invade seek material gain. It is said that they have decided to "rob and rob and take revenge, to turn your hand against ruins rebuilt, and to a people gathered from the peoples who have gathered fairy and goods that live on the belly of the earth "(Ezek. 38:12). In verse 13, they are described as taking braces, silver and gold, fairy and goods. The great numerical supremacy of the invasion army is described as follows: "As a storm shall you come, as a cloud, you shall conceal the land" (verse 9). The army is said to come from "many peoples". It will be "a great crowd and a tall army" (verse 15). Even if they are looking for material gain, it is really God who draws them into the war: "And you shall come up against my people Israel like a cloud and hide the land. In the last days it will happen. Then I will let you come over my land, that the people may come to know me when I reveal my holiness to you, Gog! "(Verse 16). The prophet describes The prophet describes in detail what will happen when this mighty the army invades the land of Israel: "But on that day, when Gog is coming over the land of Israel, says the Lord Yahweh, my wrath will rise in my presence. And in my jealousy, in my burning anger I say, Surely in that day there shall be a great earthquake over the land of Israel. The fish of the sea, and the birds of the sky, and the beasts of the field, and all the creeping things that are upon the earth, and all the inhabitants of the earth shall tremble before me. The mountains shall fall, and the mountains shall fall down, and every wall shall fall to the ground. And I will call upon him the sword upon all my mountains, saith the Lord Jehovah. The one's sword must be turned to the other. And they will know that I am the Lord. I will deal with him with plague and blood, and with a rinse of rain and hail stones. I will make fire and sulfur over him and his multitudes, and upon the many nations that are with him "(Ezekiel 38: 18-22). As evident from prophecy, the invasion will awaken God's wrath (Ezek. 38:18) ) and there are a number of disasters. First, there will be a great earthquake in the land (Ezek. 38:19). This earthquake will affect fish, birds, animals and all creatures on the ground. The mountains are bursting and building walls fall (verse 20). The next great judgment from God leads to confusion in the multinational army, so that they begin to fight each other: "The sword of the one shall turn to the other" (Ezek. 38,21). In the confusion that arises in connection with the earthquake, it is easy to understand that the troops can begin to fight each other. A third sentence comes across the army in the form of plague and bloodshed. God will use a plague against the enemies of Israel, which has also been used in other situations (eg Isaiah 37:36). On top of all this, there is a judgment from God in the form of rubbish rain and hailstones and burning sulfur (Ezek. 38,22). Although it seems like natural disasters for the army, it is God's supernatural deeds that are triggered. As illustrated in John's Revelation 16.21, unusually large hail can be deadly. The burning sulfur reminds of the fall of Sodom and Gomorrah (Gen. 19:24). Some have interpreted the burning sulfur as a result of the earthquake triggering slumbering volcanoes, so they spell out their burning fire. No matter how to explain this, the result is clear. The invasion army is destroyed. God uses this as a means of demonstrating his power to the people: "And I will reveal my greatness and my holiness, and make me known to the eyes of many people, and they shall know that I am the Lord" (Ezek. 38:23). The invasion army is destroyed The prophecy continues. Now the complete destruction of the invasion army is described: "I will turn your bow out of your left hand and let your arrows fall out of your right hand. In the mountains of Israel you shall fall, you and all your multitudes and the peoples who are with you. I give you food for all birds of prey and for the wild animals of the field. On the ground you must fall. For I have spoken, says the Lord the Lord "(Ezek. 39.3-5). When God attacks the attackers, they will release their arcs and arrows. Their dead bodies become food for vultures and wildlife. In verse 4 it is stated that the whole army will be wiped out and that no one will survive: "In the mountains of Israel you shall fall, you and all your multitudes and peoples who are with you." After the battle After it has been established that God's purpose is to proclaim power in his holy name (Ezek. 39,7-8), saying that what remains after the battle will be sufficient fuel for seven years: "Then shall those who live in IsrAel cities, go out and burn fire and keep it alight with armor and small and large shields, with bows and arrows and spears and spears, and they will keep the fire on fire for seven years. They shall not catch wood from the field, neither shall they chop in the woods, but with the armor they shall keep the fire burning. They shall rob them that robbed them, and rob them that have robbed them, saith the Lord Jehovah. "(Verses 9-10) .The announcement that the fire will last for seven years, asks a little about how this should be understood in relation to Christ's Second Coming, as it appears to be that the attack will take place towards the end of it before the three and a half year period of the seven years preceding the second coming. That means there is enough time for it to burn up before the second coming. But the burning does not in itself create a prophetic timetable, and even after Christ's second coming, life will go on and it becomes necessary to have heat. This is therefore no objection to placing the invasion towards the end of the first three and a half years. The prophecy describes in detail how the dead are to be buried (Ezek. 39: 11-16). It will take seven months to bury the dead, and after that one will still find dead bodies to be buried. The scene is similar to the one describing Christ's Second Coming, when the vultures are invited to attach to dead bodies (verses 17-20). However, it is something completely different from that described in John's revelation 20.7-9, when the earth is destroyed immediately after the war mentioned. God's purpose of destroying the invasion army Ezekiel quotes God, as in the destruction of the invasion army proclaims its resistance to evil and his desire to restore Israel: "I will reveal my glory among the nations, and all the people shall see the judgment which I have held, and my hand as I have put upon them. And the house of Israel shall know that I am the Lord your God, from that day and in the future. The people will realize that it was for their iniquity. The house of Israel was abducted. It was because they had been unfaithful to me, so I hid my face before them and gave them into the hand of their enemies. And they fell for the sword all together. This I did with them because of their uncleanness and their transgressions, and I hid my face for them "(39,21-24). Collection of Israel Ezekiel continues to describe how God will restore Israel:" Therefore says the Lord the Lord: Now I will put an end to the captivity of Jacob, and will rejoice over all the house of Israel, and I will envy my holy name. They shall bear their shame and all the wickedness they have shown against me when they live safely in their land, and no one despises them. When I bring them back from the people, and gather them from the land of their enemies, and reveal my holiness to them in the eyes of many people, they shall know that I am the Lord your God. For I have taken them to the people, but gathered them again to their land, and I will not let any of them return. I will no longer hide my face from them, for I will pour out my Spirit upon the house of Israel, says the Lord Jehovah. "This seems to be fulfilled at the second coming. Although some details in this prophetic report are not necessarily clear, the outcome of the battle is clear. Russia's last attempt at world rule completely fails. Their armies are broken, and even in their own country, they will be exposed to fire from heaven (Ezek. 39.6). The final form of pagan power will follow as the tinning group becomes world government. Russia may have been a hindrance to this, and the fact that they are now completely eliminated can explain how the dictators in the tinational group can proclaim themselves as rulers all over the world without resistance. This war may well be the springboard that causes the ruler of the Middle East to come to power for the last three and a half years before Christ's Second Coming. During that period, Israel will undergo a terrible tribulation, and the world will largely be destroyed. Since this prophecy has never been fulfilled earlier, its fulfillment is a reminder that God is still on the throne and that there will be a settlement with God's enemies in the time of God and in God's way.